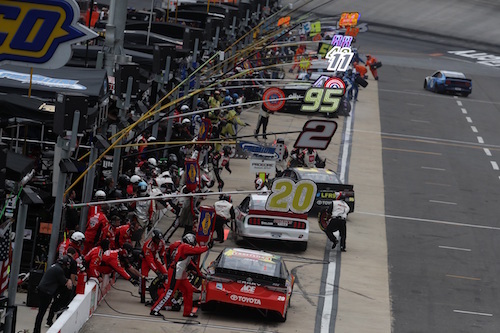 NASCAR issued fines to two Monster Energy NASCAR Cup Series crew chiefs for loose or missing lug nuts after Sunday’s Food City 500 at Bristol (Tenn.) Motor Speedway. Both crew chiefs were from Joe Gibbs Racing. Cole Pearn, crew chief on the No. 19 team of Martin Truex Jr., and Chris Gabehart, crew chief on the No. 11 of Denny Hamlin, each were fined $10,000. Hamlin finished fifth at Bristol, and Truex was 17th, the first driver one lap down.